This entry was posted in News, Padres Public and tagged Adam Rosales, Brandon Maurer, Carlos Gonzalez, Chad Bettis, Colorado Rockies, Coors Field, cory spangenberg, Jabari Blash, James Shields, Jon Jay, Melvin Upton Jr., Nolan Arenado, Ryan Raburn, San Diego Padres, Trevor Story, While You Were Drinking, Wil Myers. Bookmark the permalink. The Padres (2-4) scored fewer runs than the Colorado Rockies (3-3), 6-3, yesterday afternoon to wrap up their three-game series at Coors Field. 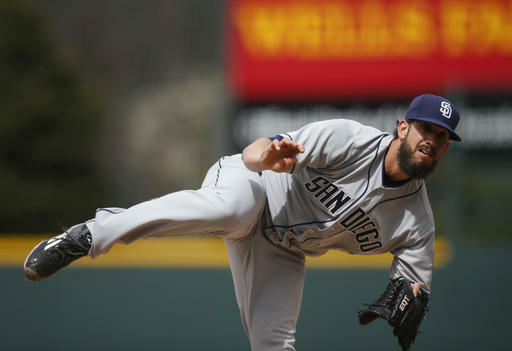 James Shields (0-2, 4.85) gave up three solo home runs over seven innings, allowing four runs on six hits and two walks with two strikeouts. 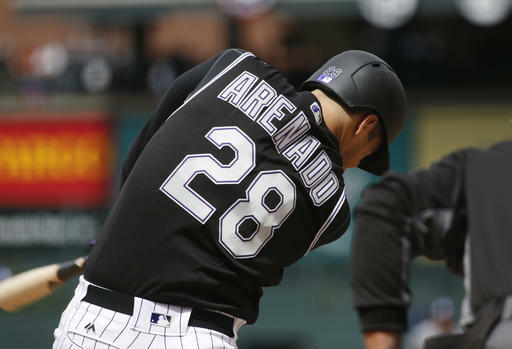 Carlos Gonzalez, Nolan Arenado, and Ryan Raburn had the three home runs. Gonzalez hit a second solo home run to lead off the eighth inning followed by Trevor Story‘s seventh home run in eight games, both off Brandon Maurer in relief of Shields. Chad Bettis (1-0, 4.38) surrendered two runs in seven innings on six hits and no walks with six strikeouts. Adam Rosales doubled to knock in Melvin Upton Jr. in the second inning. Jon Jay scored on a Wil Myers sacrifice fly in the third inning. Jabari Blash scored the Padres’ final run after his first Major League walk and a double by Cory Spangenberg in the eighth inning. The Friars head to Philadelphia to take on the Phillies (2-4) for four games at Citizen Bank Park. Andrew Cashner (0-1, 11.25) takes on Aaron Nola (0-0, 1.29) this afternoon at 12:05pm PDT.